Research has shown that defining “ready” for kindergarten is a complex and difficult challenge. Children’s development is episodic and irregular, sometimes developing rapidly in one developmental area, and more slowly in another. When looking at the child as a whole, the five developmental domains that are regularly referred to and discussed when the topic of readiness is studied are physical, social-emotional, approaches to learning/cognition, language development and general knowledge/academics. Examples of indicators used to assess readiness are listed below. Physical: Gross motor and fine motor skills such as jumping, running, throws and catches a ball, writing grasp, scissor skills, and copying print. Social-Emotional: positive social behaviors such as independently interacting with peers, self-regulation, independent adaptive skills, turn taking, and being sensitive to other’s feelings. Approaches to Learning/Cognition: curiosity, ability to pay attention, interest level, problem solving and logic. Language Development: receptive and expressive, requesting wants and needs, understand vocabulary, and following directions. General knowledge/Academics: matching, classifying, sequencing, print knowledge, identifying letters and numbers, and counting to 10. According to the National Center for Education and Statistics, the majority of teachers feel traditional academic preparedness holds less importance than social-emotional readiness. The four areas most identified by teachers as significant to kindergarten success are: physically healthy and well-nourished, ability to communicate wants and needs, approach to learning (curiosity and enthusiasm), and positive social-emotional characteristics (self-regulation and self-control). These main areas of development are the foundation for future success because they lay the groundwork for all other areas of growth such as language, literacy and mathematics. Being able to pay attention and being interested and curious in kindergarten are highly linked to success in later years. Other areas ranked highly include ability to follow direction, ability to take-turns, and being sensitive to other’s feelings. The National Association for the Education of Young Children (NAEYC) has released a position statement concerning this topic, which should serve as a guideline for local, state and national efforts, which focus on school readiness in the pre-kindergarten years. NAEYC believes it is the responsibility of schools to “meet the needs of children as they enter school and to provide whatever services are needed to help each child reach his or her fullest potential.” Their statement stresses five areas that support school readiness. Access to Opportunities: resources for families, high-quality early education and early intervention. Flexibly and Broadly Defined: Allow for different ways and rates of development, include all areas of development (social-emotional, cognitive, physical, language, literacy, mathematics), and include families, communities, and ready school along with the child’s readiness. Kindergarten Based on Age, not Skills: Using readiness assessments or screenings to exclude children or holding children back a year before starting kindergarten is not supported by evidence. Schools Must Be Ready to Help Children: curriculum based on meaningful, integrated learning based on children’s prior knowledge, support individual differences and provide resources to support teachers effectively. Readiness for All: Invest in schools and communities to ensure success and build a foundation for learning for all children. The best way to support children for success in school is to create and strengthen positive and supportive relationships with them. Developing strong, independent, confident children is what will teach them to make friends, work collaboratively with others, solve problems and learn effectively. They are more able to handle disappointment, hard work and day-to-day challenges when they are secure and happy. This comes from healthy life experiences, family support and high-quality preschool. Ackerman, D.J., & Barnett, W.S. (2005). 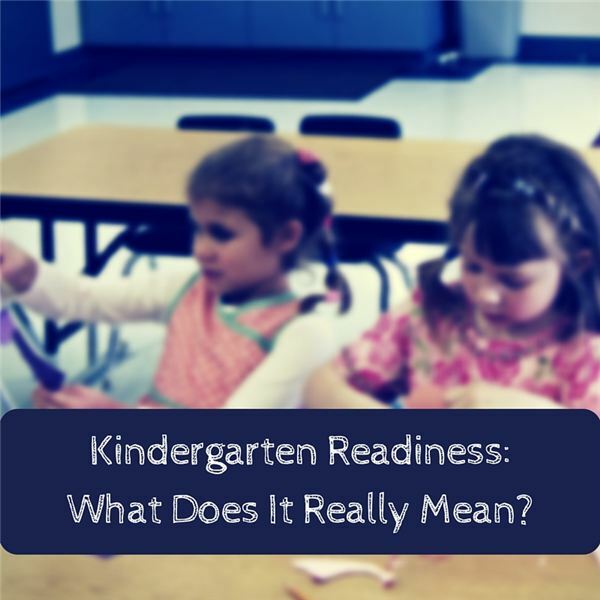 Prepared for Kindergarten: What Does “Readiness” Mean? National Institute for Early Education Research. New Brunswick, NJ.